Foot Petals - Fancy Feet by Foot Petals 6-Pc. 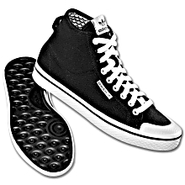 Sneaker Deodorizer Drop the Sneaker Deodorizers from Fancy Feet by Foot Petals into everything from shoes bags lockers and drawers for instant odor-fighting action that helps bring added freshness to a variety of accessories and spaces. Converse - Chuck Taylor Cut Out High Top Sneaker - Women's Add a twist to your favorite classic with the Chuck Taylor Cut Out High Top Sneaker. The timeless canvas shoe gets a style update with a perforated upper for a modern look. Skechers - Add some happiness to your step in the peppy and fun Skechers Women's GOwalk Joy - Nirvana Casual Walking Sneakers. Adidas - Honey Mid Shoes The adidas Honey Mid is the very essence of sneaker chic combining a laid-back all-around sense of style with unique colors and patterns. Built to feel as good as they look these kicks are ready for any outfit adventure. Adidas - Honey Mid Shoes The adidas Honey Mid shoes are the offspring of the classic '80s sneaker with the original's vulcanized rubber outsole. They feature graphic stripes on a woven jacquard build with an extra set of laces. Propet - Tour Walker II Tie - Women's Energize your active lifestyle in the Propet Tour Walker II Tie sneaker. 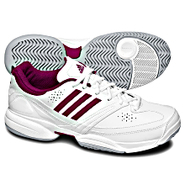 This casual women's lace-up athletic shoe has a durable full grain leather upper; Nylex lining wicks away moisture to maintain a healthy foot environment.